Our family enjoys meals inspired by Hawaiian cuisine. My husband and I spent our honeymoon in Hawaii and we love the flavors of the tropics. In remembrance of our trip and dining alfresco, I cooked up this simple dish featuring a plank of grilled pineapple, topped with high-quality salmon, sourced from Alaska Seafood, with the flavors of pineapple juice, teriyaki glaze, and fresh minced garlic. 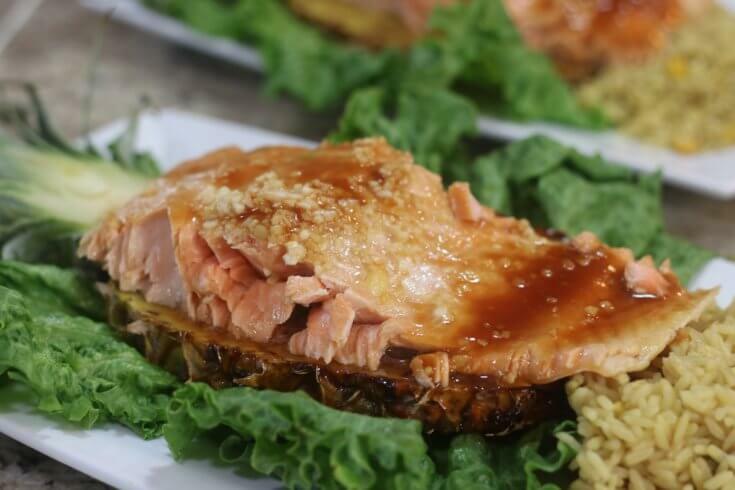 This Easy Recipe for wild Alaska salmon with Teriyaki and Pineapple is so fresh, and so packed with flavor, you’ll feel like you’re on a tropical vacation with every bite. Plus, this recipe is so easy to make, you’ll want to create it anytime you’re in need of a fresh seafood oasis. When you’re putting together a healthy recipe like this wild Alaska salmon, it’s helpful to balance flavors to keep your taste buds satisfied. With this recipe, I’ve balanced the sweetness of the pineapple with the tanginess of the teriyaki and the kick from the minced garlic. Now, I sliced the pineapple lengthwise, but you can opt to chop it into bite-sized pieces and serve it alongside the wild Alaska salmon as a fruit salad. I like a bit of drama every now and then, so for this dish, the pineapple is a fancy garnish as well as a fruit side dish. I visited the fresh seafood case at our local grocer to purchase the salmon I used for this recipe. My advice, #AskForAlaska when you go grocery shopping. All Alaska salmon is wild. 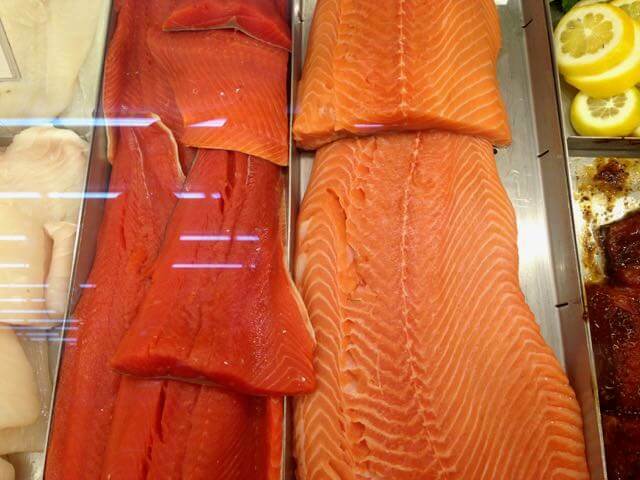 Wild-caught Alaska salmon includes five species that can be found at the seafood counter or freezer case including king salmon, sockeye, coho, keta, and pink. If you like this recipe, you can find much more online. Visit www.wildalaskaseafood.com for hundreds of Alaska seafood recipes, cooking techniques, and tips. Step 1: Marinade the wild Alaska salmon in a shallow dish submerged in the pineapple juice, teriyaki glaze, and fresh minced garlic. Cover the dish with foil and seal for baking. Step 2: Heat the oven to 350 degrees. Once the oven reaches the desired temperature, add the wild Alaska salmon in the baking dish to the oven and bake for 30 to 35 minutes. Bake 6-8 minutes for each 1/2 of thickness. Check to ensure the wild Alaska salmon flakes with a fork to check for doneness. Step 4: Slice the pineapple. Using a large butcher knife cut the pineapple lengthwise. Step 5: Heat a grill pan over medium-high heat. Once the pan is hot, add the butter and melt it. 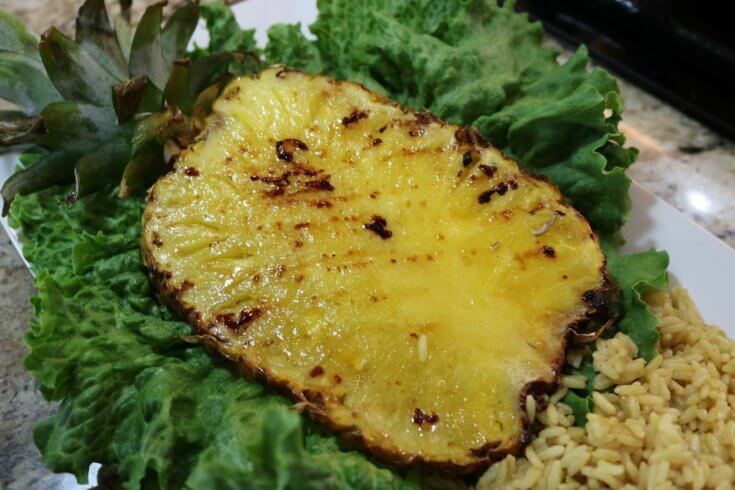 Then, pan grill the pineapple for 2-3 minutes on each side or until the pineapple takes on a grilled appearance. If you enjoy the taste of teriyaki, you can add some of it to the melted butter for a bit of extra flavor, and a glazed brown appearance on the surface of the pineapple. 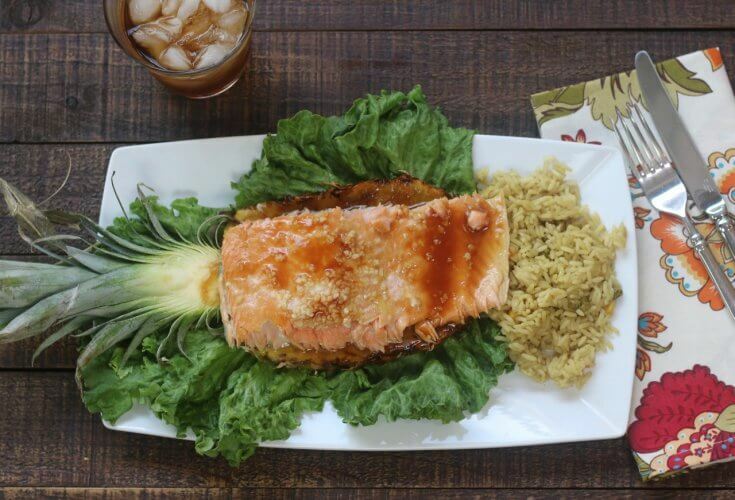 Serve up this delicious wild Alaska salmon with teriyaki and pineapple. Just add rice and tea for an easy family favorite any night of the week. 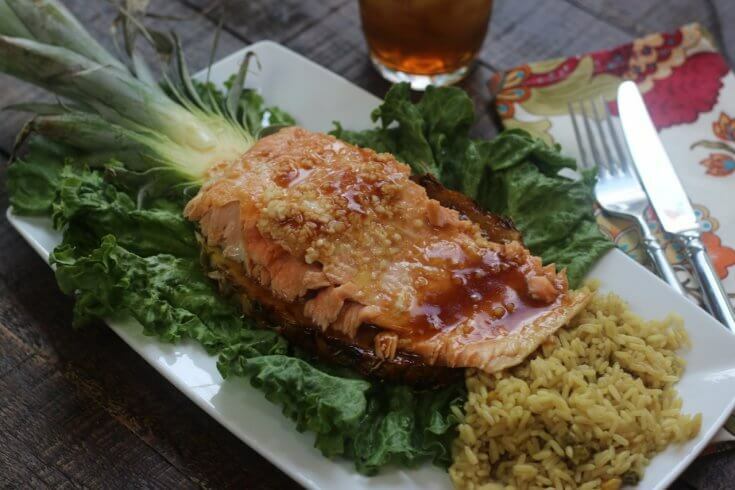 This wild Alaska salmon with Teriyaki and Pineapple recipe balances the sweetness of the pineapple with the tanginess of the teriyaki + a minced garlic kick. 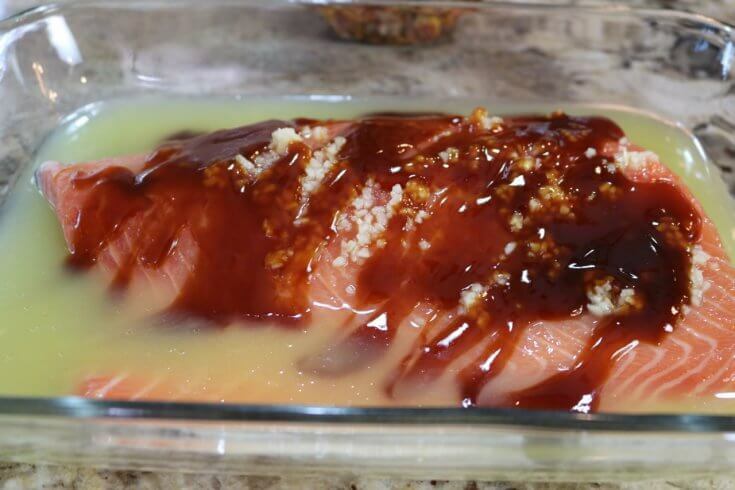 Marinade the wild Alaska salmon in a shallow dish submerged in the pineapple juice, teriyaki glaze, and fresh minced garlic. Cover the dish with foil and seal for baking. Heat the oven to 350 degrees. Once the oven reaches the desired temperature, add the wild Alaska salmon in the baking dish to the oven and bake for 30 to 35 minutes. Bake 6-8 minutes for each ½ of thickness. Check to ensure the wild Alaska salmon flakes with a fork to check for done-ness. Wash. Wash all produce thoroughly. Slice the pineapple. 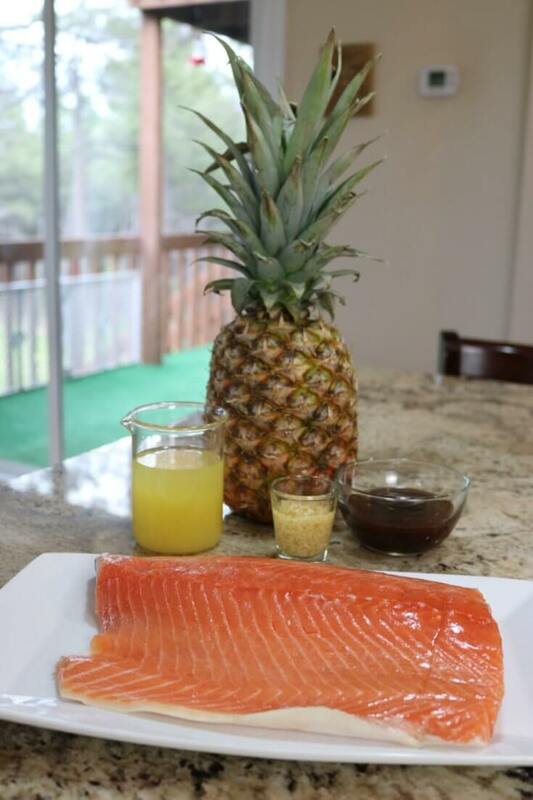 Using a large butcher knife cut the pineapple length-wise to create a pineapple plank for this Salmon Teriyaki and Pineapple Recipe. Heat a grill pan over medium-high heat. Once the pan is hot, add the butter and melt it. Then, pan grill the pineapple for 2-3 minutes on each side or until the pineapple takes on a grilled appearance. If you enjoy the taste of teriyaki, you can add some of it to the melted butter for a bit of extra flavor, and a glazed brown appearance on the surface of the pineapple.